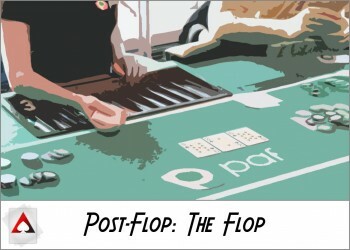 If the basic play for learning about the flop is the continuation bet, then the basic play for learning about the turn is double barreling. A double barrel is a turn continuation bet, so you would have to be the aggressor pre-flop, be the aggressor on the flop and then be the first to bet on the river for it to count as a double barrel. All double barrel opportunities start with a plan on the flop, and it’s important to realize that there are other ways to play the hand than double barreling (like the free card play we referenced in the previous part of this series). However, understanding double barreling is the key to understanding most options on the turn and river. Before we get in-depth on double barreling, let’s take a quick look at the nuts and bolts of the free card play. 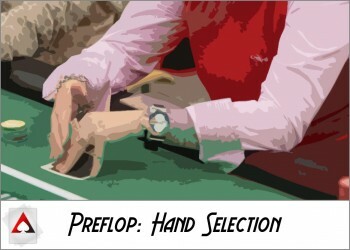 Suppose you’re on the flop, in position, with a flush draw, and your opponent checks to you. If you make a bet, and your opponent calls, then you’ll see the turn, and chances are that your opponent will check to you. If you missed the draw on the turn, then you can check behind and essentially get a “free card” by seeing the river. 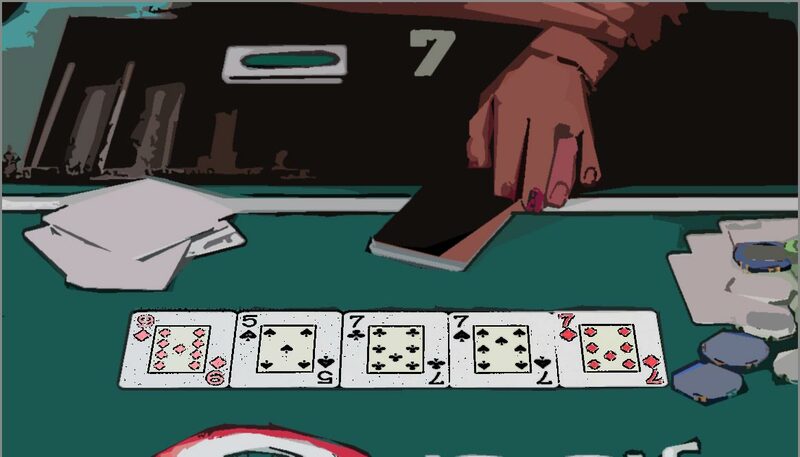 The basic idea is that you are retaining control of the hand and have the option to see two cards (the turn and river) for “the price of one” (the cost of your flop bet). 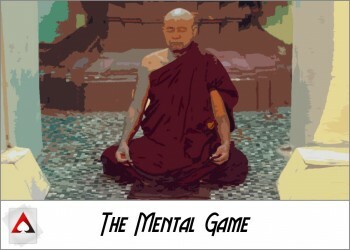 The mechanics of the free card play do not have to be used for draws only. 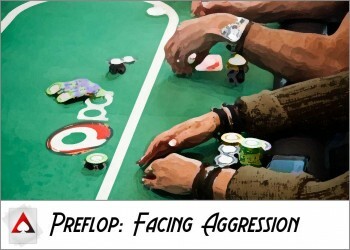 You can have a vulnerable made hand on the flop that you continuation bet with only to get called and check behind on the turn to avoid building a pot that’s too big to be comfortable. Taking the option to check behind on the turn has a lot of utility, and it’s important to be aware of the good times to use it like what we have described here. 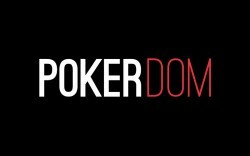 Fold equity is the idea of having a good chance of your opponent folding if you make a bet in a particular situation. Pot equity is the idea of having a good chance of winning the hand if you make a bet and are called. For a successful double barrel on the turn, you need a lot of fold equity, a lot of pot equity, or a fair amount of both. The turn card being dealt can help your pot equity or your fold equity in different ways. 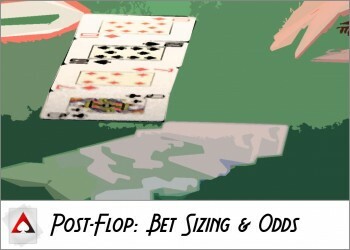 If you make a continuation bet on a flop of Js7h4d, and the turn is the As, you gain fold equity if it would make sense that you could have hands in your flop bluffing range that have aces in them. You could also gain pot equity if you had two spades in your hand or something like KQ that gave you a gutshot straight draw. If you have enough of each type of equity, then you can make a profitable double barrel. Position ties into this as well. If you’re in position on the turn, you have a lot more options because of the availability of the free card play. If you’re out of position, then you have to deal with the fact that your options are basically to either double barrel or to check and give over control of the hand to your opponent. This is the price of being out of position, and while it’s not always avoidable, it’s definitely more difficult. 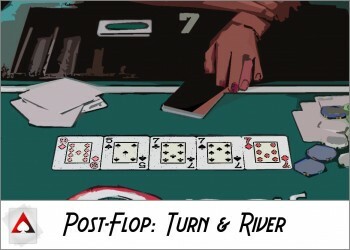 While a lot of the principles of playing the flop and turn apply on the river, there are three big differences for the final street of the hand. If you understand these three differences, you’ll be well on your way to excellent river play. First, the pot is often large relative to the remaining stacks. If the remaining stacks are 10 times the size of the pot, then you have a lot of room for raising, re-raising and building a pot. However, if the remaining stacks are just twice the size of the pot, then there’s not really as much to think about. This can greatly simplify your play in terms of having to think ahead a bit less since there are fewer ways the hand can play out. Second, there are no more cards left to come, so semi-bluffs are taken out of the game. The river is purely about the ideas of bluffing and value betting, and because the pots are larger on average, the stakes are a bit higher. Along these lines, the balance of value betting and bluffing is as important as ever. 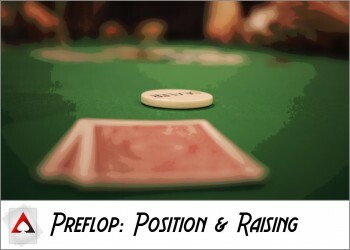 Third, players tend to play their hands in more straight-forward ways in larger pots at micro stakes and small stakes games. Since the river is typically larger on average, you’ll have less of a problem with trying to guess what your opponents have since they will tend to value bet a lot more than they bluff. Turn and river play have a reputation for being more difficult than play pre-flop or on the flop, but this is just because the pots are bigger. If you stick to the basic fundamentals that we’ve outlined here, then you’ll have a much easier time since your framework for understanding the game is streamlined. The goal of this series was to give you an introduction to the types of things you should be thinking about in the different stages of the game and to push you in the right direction towards knowing what to think about and study on your own. If you find yourself stuck not knowing what to learn, come back to this guide and focus on the ideas of the betting street or part of the game that is giving you the most trouble. 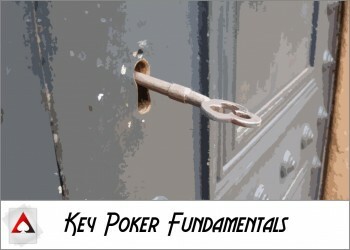 This article is part 7 of an 8 part series from New Player Guide: A Shortcut to Playing Better Poker. You can navigate to the next article below, or choose a specific article from the series.